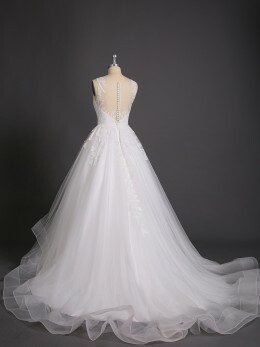 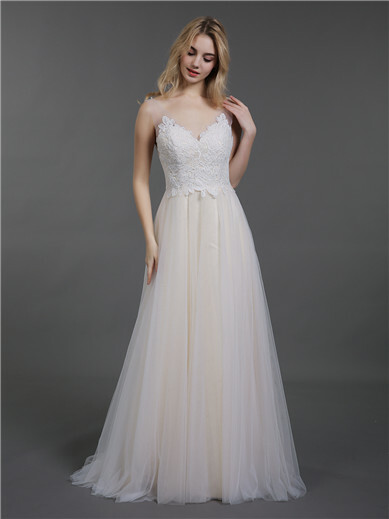 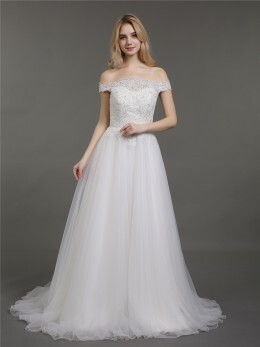 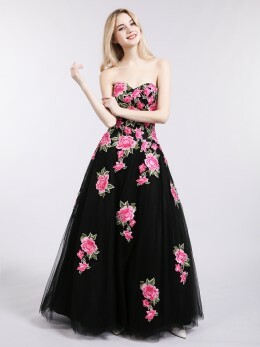 It is made of tulle with a beautiful lace overlay, held together with zipper on the back. 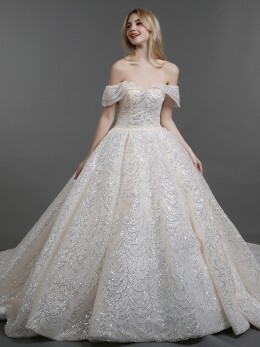 This wedding dress can make you a perfect bride. 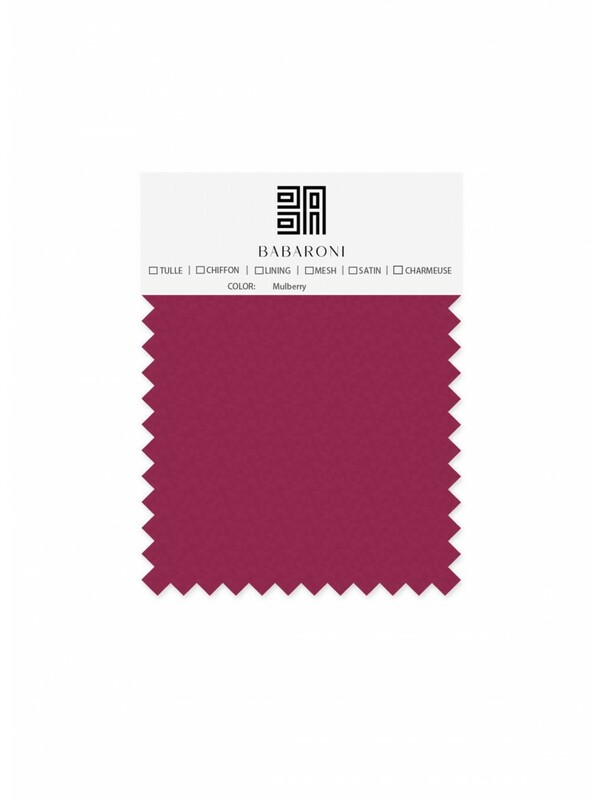 I am in love with Babaroni!! 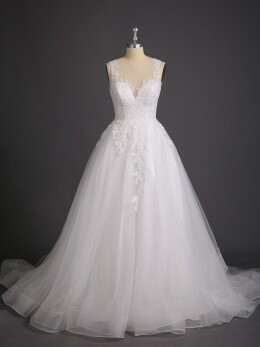 I am a plus size bride so buying a wedding dress seemed daunting! 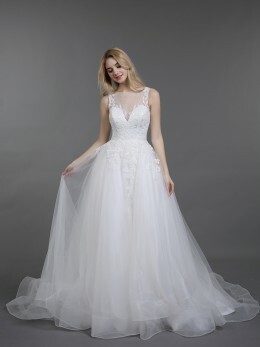 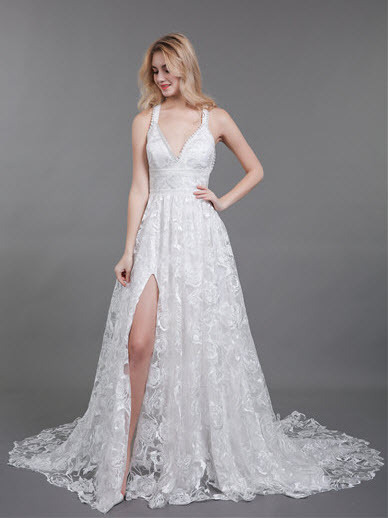 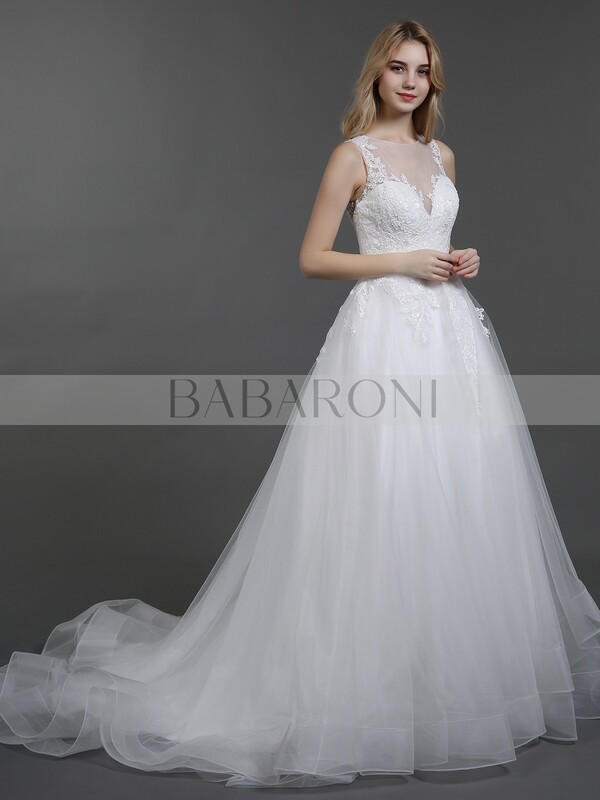 I found Babaroni on pintrest and weighed my options, I had plenty of time to order a dress and then find a plan B if it was needed!!! 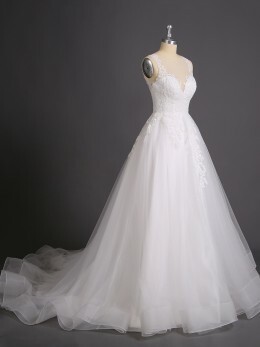 Plan B was not needed :) My dress was beautiful! 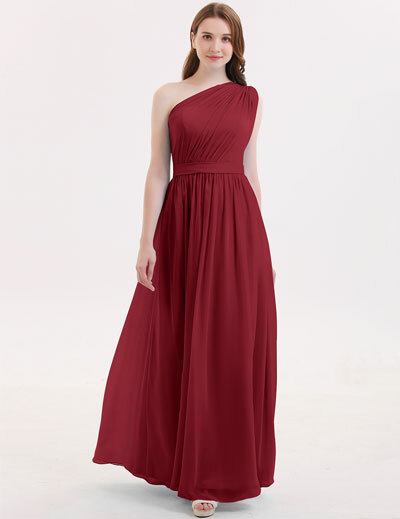 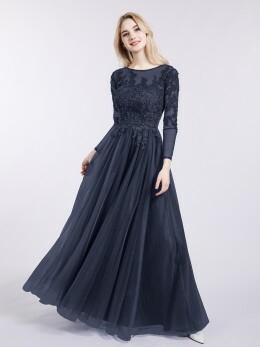 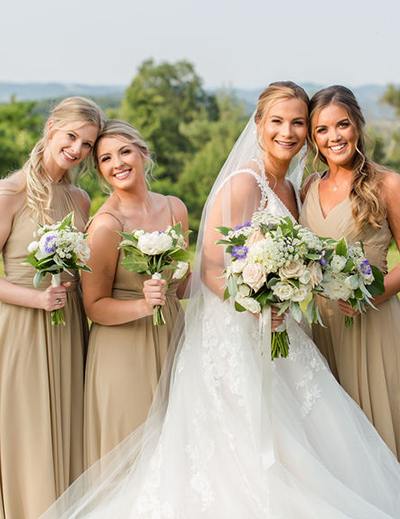 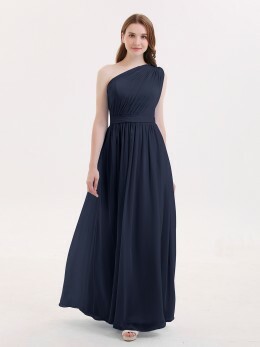 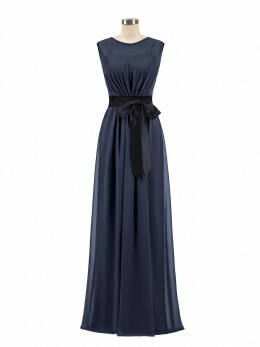 We also ordered my bridesmaids from Babaroni as well and they are perfect!